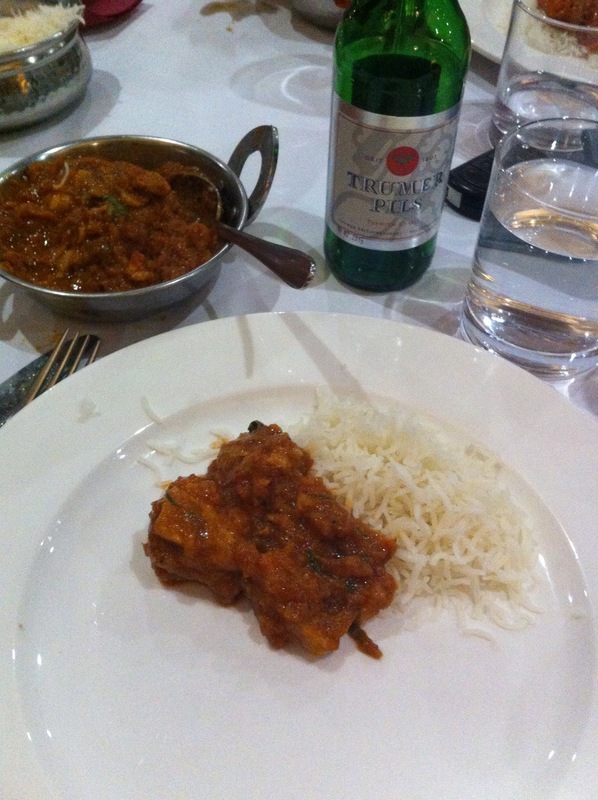 I had Chicken Rogan Josh (and tried a bit of the Butter Chicken from a friend). It was delicious. 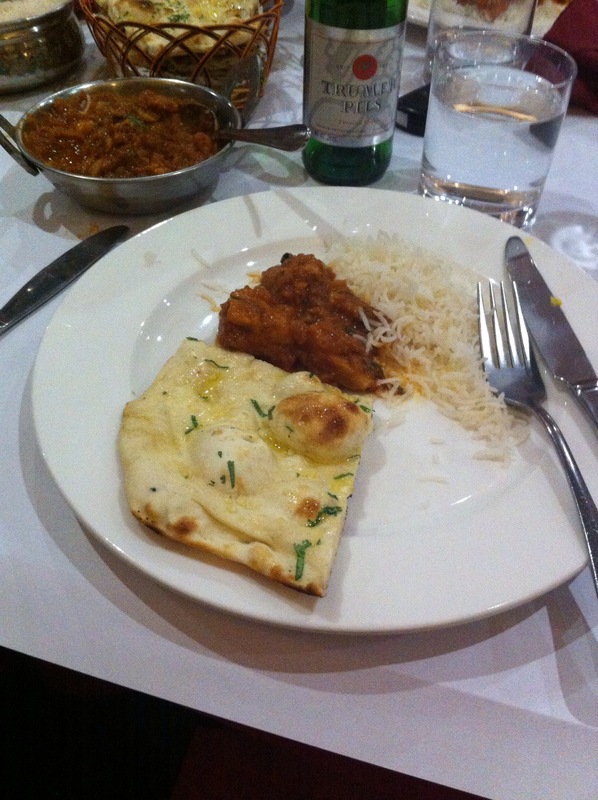 I also had some tasty garlic naan. And one vege Momo and one meat Momo – they were dumplings. Really yummy. I was really happy with the food, restaurant, service and everything really. Will definatly return!